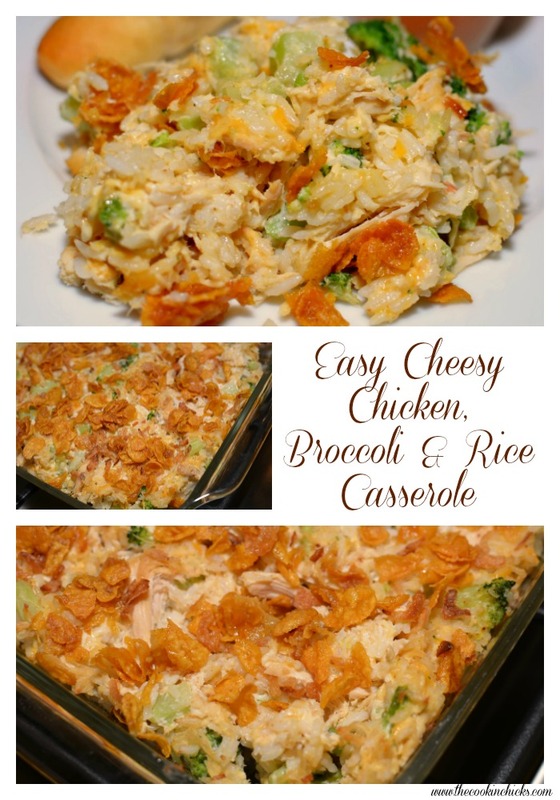 This cheesy chicken, broccoli, and rice casserole is a family favorite! 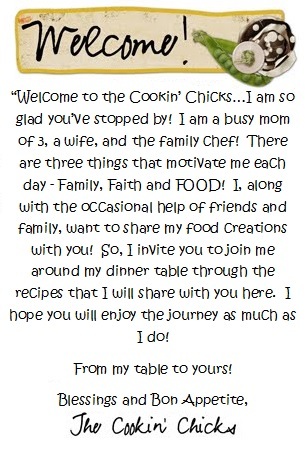 Using a few simple ingredients, this meal comes together in no time and is an “all in one” dinner! 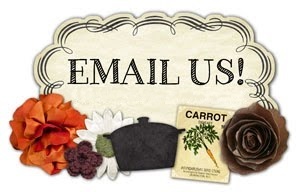 Veggies, rice, and chicken…..bring dinner to the table in no time! Last week, after making this meal for at least the third time, I realized I had not blogged it yet! Why?! I am not sure, but based on the fact that we always dive right into this, I rarely have time to take pictures before our plates are cleaned. The casserole itself is flavorful, comes together in no time, and only requires ingredients you most likely already have on hand. As for the topping, that may be my favorite part of this. The crunchiness really adds to the texture, and the butter/cereal combo creates a topping that you definitely don’t want to skimp on! Last week, I tweaked this a bit and added a bit of French fried onions to the topping and WOW, what a way to enhance this already tasty dish! Now, if you aren’t an onion fan, feel free to omit, but I highly recommend that addition! This is family approved, budget friendly, and freezes perfectly. If freezing, just be sure to omit the topping until ready to cook/serve! Prepare for leftovers as my family of five enjoyed this for two nights! 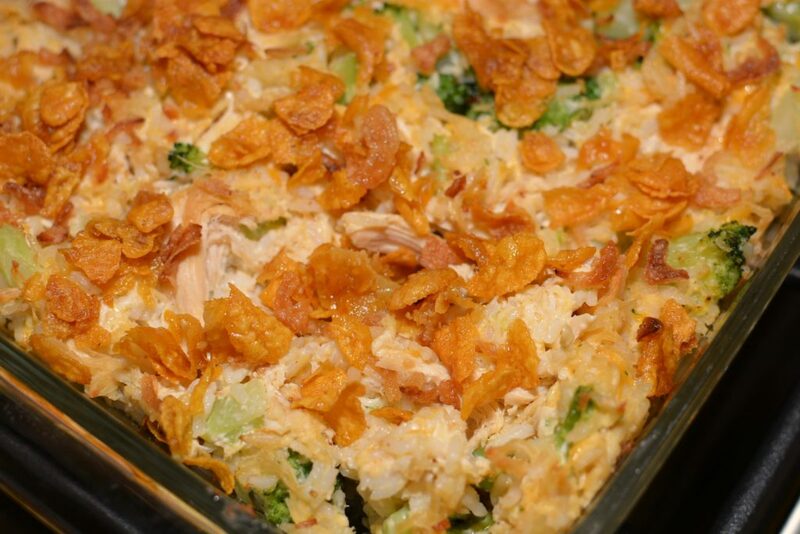 This cheesy chicken, broccoli, and rice casserole is a family favorite! 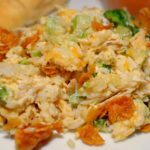 Using a few simple ingredients, this meal comes together in no time and is an "all in one" dinner! Veggies, rice, and chicken.....bring dinner to the table in no time! Preheat oven to 350 degrees and lightly spray a 9 x 13 baking pan with grease. 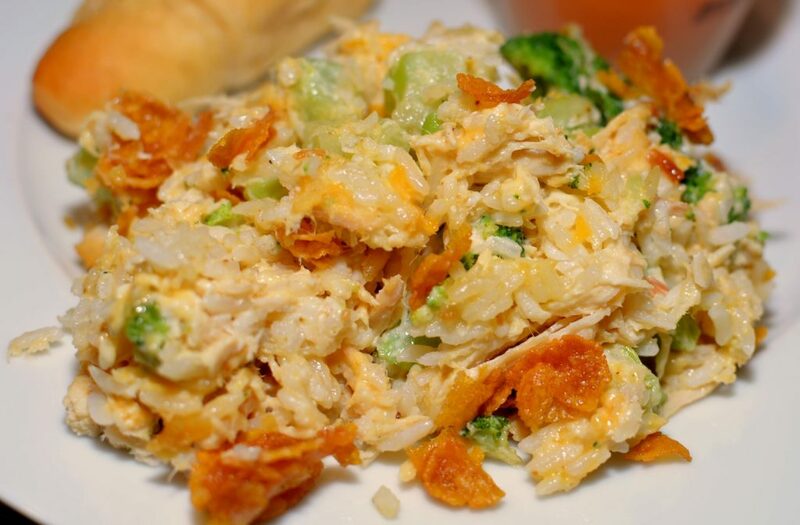 In a medium bowl, combine the chicken, broccoli, cream of chicken soup, rice, cheddar cheese, and mayonnaise. In small bowl, combine the cornflakes with melted butter. Set aside. Sprinkle french onions evenly on top of chicken mixture. 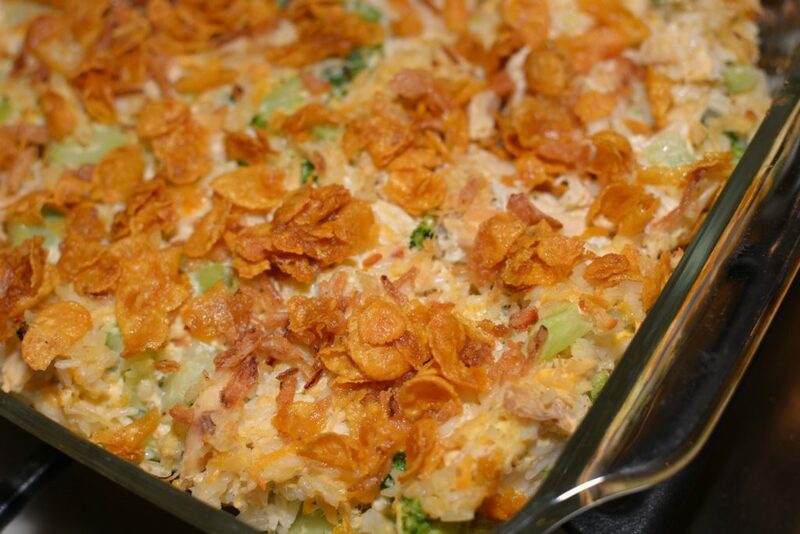 Sprinkle cornflake mixture on top evenly. Place pan into preheated oven and bake for 30 minutes. Serve! I don’t mean to sound silly, but do I need to cook the broccoli prior to putting the casserole together????? Not a silly question, no worries! Nope, no need to cook the broccoli beforehand! It will cook once the casserole is put together and in the oven! Enjoy!